The Trump administration is facing even more potential disruption with leadership at the Veterans Affairs Department, with two groups suing over the validity of the department's temporary leader just days after the president's nominee to serve as permanent secretary withdrew his name from consideration. 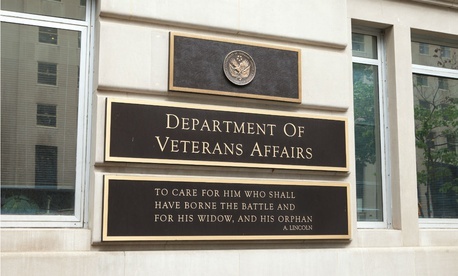 Left-leaning VoteVets and government watchdog Democracy Forward filed the lawsuit on Monday, claiming Robert Wilkie, named as acting VA secretary when Trump dismissed David Shulkin last month, is serving unlawfully. Wilkie came to VA from the Defense Department, where he was confirmed by the Senate as undersecretary for personnel and readiness. At issue are specific provisions of the 1998 Federal Vacancies Reform Act, which allow a president to move a Senate-confirmed appointee into a vacant position when an individual “dies, resigns, or is otherwise unable to perform the functions and duties of the office.” Shulkin has said he was fired from the position, however, a scenario which the law does not specifically address. Trump instead should have nominated Thomas Bowman, VA’s deputy secretary, who was confirmed by the Senate in August after Trump had nominated him, the plaintiffs argued. Trump bypassed Bowman, the plaintiffs said, because the administration does not believe he would aggressively enough pursue giving veterans access to private health care on VA’s dime. By installing his preferred nominee without the advice and consent of the Senate, they added, Trump violated the Appointments Clause of the Constitution. When debating the bill on the Senate floor in 1998, the legislation’s author, Sen. Fred Thompson, R-Tenn., acknowledged the firing contingency. He noted that a court had previously found that the president did not have the wider discretion in appointing a temporary official when he had dismissed the predecessor. The late Sen. Robert Byrd, D-W.Va., who co-sponsored the measure, offered less clarity. Byrd said the “unable to perform” clause referred to “inter alia” (or, “among other things”) sickness, absence, or expiration of a term. Max Stier, president of the Partnership for Public Service, told Government Executive the bill was not written clearly. “It doesn’t say. That’s the problem,” Stier said. “The language is not specific as to firing, and it raises a doubt.” He added Congress may have been concerned about enabling a president to fire someone as a means to circumvent its advice and consent authority. The Congressional Research Service said in a report from October that the provisions of the Vacancies Act would be best enforced through a lawsuit. The plaintiffs argued that, as veterans who use VA’s services, they had standing to bring the case forward. In 2016, the Office of Personnel Management’s inspector general said President Obama’s acting OPM Director Beth Cobert was serving illegitimately under the FVRA and her decisions were null and subject to court challenge. The Supreme Court brought into question actions taken at the National Labor Relations Board when it ruled in 2017 that Obama had improperly installed as acting general counsel at the agency the same individual he nominated for the position. VA is currently without a nominee to serve as secretary, as Rear Adm. Ronny Jackson withdrew his name amid concerns about his management experience and alleged previous misconduct. Trump has blamed Democrats for obstructing the nomination, though the concerns were bipartisan. VA has said that because of Wilkie’s leadership, the department's officials are now “on the same page” and “speaking with one voice” on behalf of veterans, employees, Congress and outside groups. Wilkie has set a goal to “restore regular order” at VA. Veterans and VA employee groups, meanwhile, have complained that the leadership uncertainty is negatively impacting the department's operations. Katherine Peters contributed to this report.